Providing you the best range of 959m scar projector, sentry radiography devices, cobalt 60 gamma projector, source projector and scarpro industrial radiography devices with effective & timely delivery. 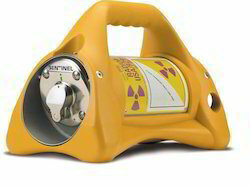 The SENTINEL™ Sentry and 330 are mobile industrial radiography exposure devices for use in the field . The Sentry 330 incorporate a depleted uranium (DU) shield with an ‘S’ tube design contained within a welded stainless steel cylinder. 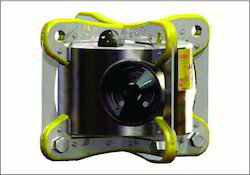 These devices have an automatic securing mechanism that automatically secures the source assembly when retracted into the fully shielded position. Device include a handling rib assembly that helps to facilitate lifting and increases the ease of movement of the device. A key safety feature is that both the automatic securing mechanism and front port cover are protected by stainless steel tube extensions that are welded into the main body of device. 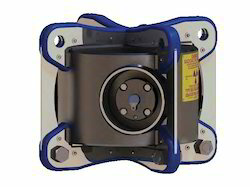 We provide Cobalt 60 Gamma Projector to our customers. 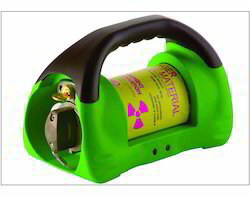 The Sentry series source projectors are used for industrial non-destructive testing applications of gamma radiography requiring a high energy Cobalt-60 source. Cobalt-60 is used to inspect materials with approximate thickness of 2 to 6 inches of Steel (50 to 150 mm); 1.5 to 7.5 inches of Light Alloys (40 to 190 mm); and 10 to 40 inches of Concrete (200 mm to 1 meter). A few examples of Cobalt-60 radiography applications are weld qualification, steel and alloy casting inspection, concrete inspection, and informational radiography. Model 880 series source projectors are used for industrial applications of gamma radiography, mainly with Iridium-192, to inspect materials and structures in the density range of approximately 2.71g/cm3 through 8.53g/cm3. Low energy isotopes can be accommodated to permit radiography of materials and structures of thin sections of steel and low-density alloys. The 880 series exposure devices are also designed for use with low activity sources with high photon energies for mass absorption (gamma scanning) studies of high-density materials up to 18.7g/cm3. devices are designed, manufactured and serviced under a QA program that has been accredited to ISO 9001 (2000) and approved in accordance with USNRC 10CFR71, Subpart H. The QA program also includes the reporting requirements of USNRC 10CFR21 for suppliers of source and byproduct materials. Depleted Uranium (DU) shield encased within a welded tubular stainless steel shell with stainless steel end plates and stainless steel investment castings. Interior void space filled with rigid foam. One-piece, high impact resistant, plastic jacket incorporating a carrying handle and base. 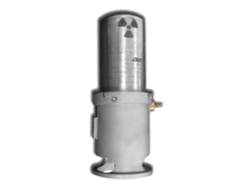 USNRC Model Number: A424-9 source assembly with a double encapsulated Ir-192 sealed source. The IAEA/USDOT Special Form Certificate number is USA/0335/S. In addition, the following isotopes may also be utilized in the 880 series exposure devices.